Now decide the placement of the pot lights. Most of them are located on the top of the ceiling. You need one pot light for each 25 square feet of living room. The pot lights are not really bright, but they can give the entertaining and warm atmosphere in the room. You will need more than one pot light to illuminate the whole sections of the living room. Now think about the decorative arrangement of the pot lights. It will look bad if the pot lights look totally plain. You need to make it look pleasing with engaging line. You can make place them in straight or circle line. If you want to give a new style, you can get the square or rectangular like. There is no need to place the pot lights in random style. It can create the uneven look on the ceiling. 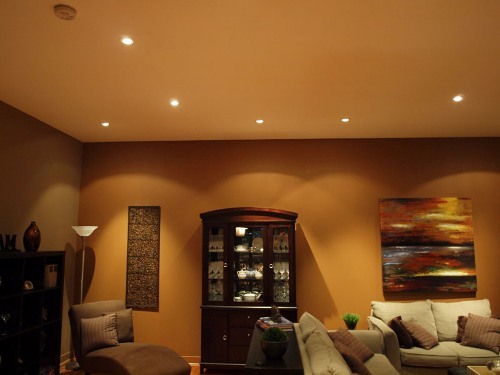 If you want to carry the dramatic effect inside the living room, you can use the pot lights on the entire wall. You can use them as a focal point in the living room. 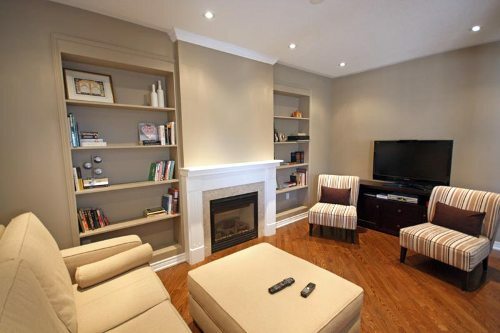 This idea is good to apply on the small living room because you can make it larger. 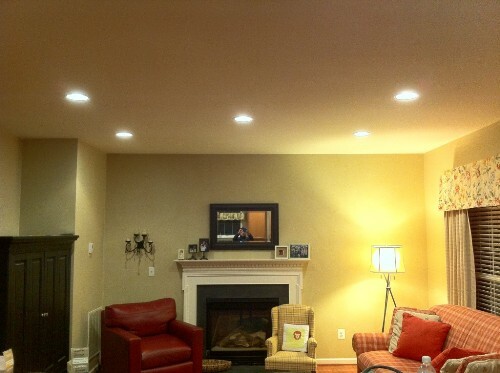 Spark the pot lights on the wall with great space so that the lights on wall never overlap. The pot lights can be applied in other sections of the living room. You can place them on the curio cabinet or on the bookcase. The collectible items inside the cabinet will be sparkling. 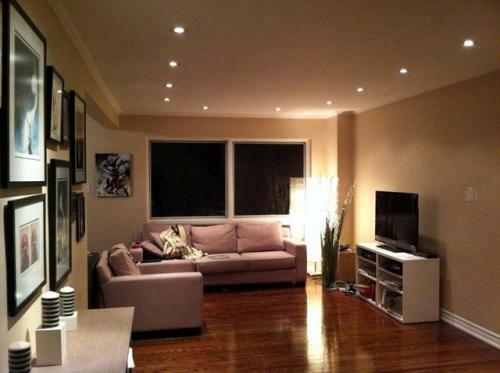 If the living room is very big with large windows, get the ideas on how to arrange living room with large windows here. 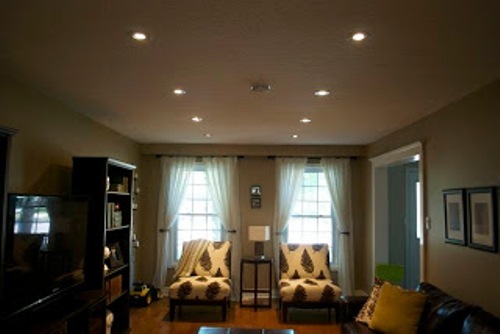 Do you want to give more ideas on how to arrange pot lights in a living room?